All Pilgrims interested on the Camino de Santiago have heard of the French Way, as it is the most popular route towards our final destination. However, very few people know about the origins of this pilgrimage route, and that’s exactly what we want to talk about today. After the death of Saint James the Greater (the Apostle), who had carried our part of his evangelizing mission in the territory known nowadays as Spain, his remains were transporter by boat from Jerusalem to Iria Flavia, in Galicia, an finally buried in Santiago de Compostela. These events took place between year 41 and 44 after Christ, and it wouldn’t be until 812 that these relics would be rediscovered. During the following years, the news about the remains of the Apostle resting in peace in this “Field of Stars” (the origins of the word “Compostela”) got diffused throughout Europe, and it even became a symbol of Christianity, against the muslim occupation of that period. This brief overview may help you understand the origins of one of the greatest pilgrimage routes of the world. Even though the French Way is the most popular route, it doesn’t mean it is the oldest. 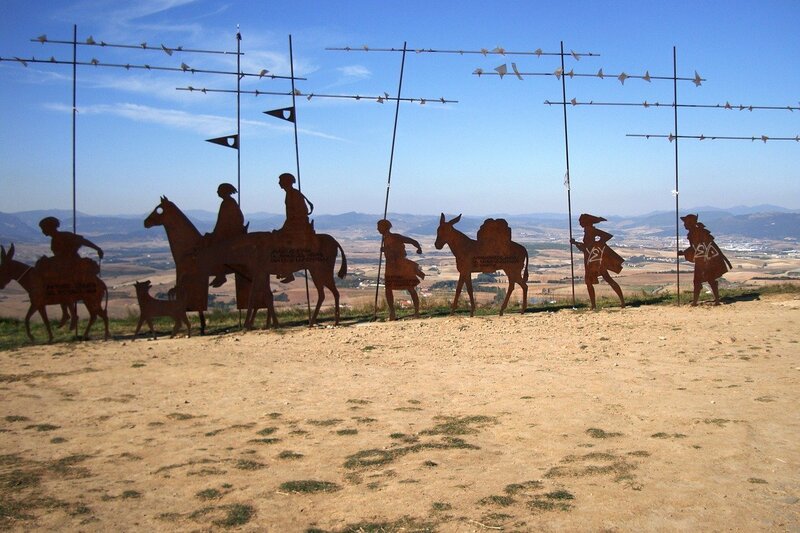 In fact, such honor is attributed to the Camino Primitivo (or Original Way in English). The French Way was born as an entrance to those Pilgrims coming from France (and other countries in Northern Europe) and during the Reconquest period, its use was promoted as it was safer route. Also, it was possible to take advantage of the trace of an old Roman road. The main starting points in France were Arles, Le Puy, Paris and Vezelay (these four towns are the origin of the main pilgrim routes in France, and gave name to them). The first one, arrived in Spain through the small town of Somport Canfranc (in Aragon Province), while the other three arrived through Saint-Jean-Pied-de-Port and continued through Roncesvalles. The four of them merged together in Puente de la Reina (Navarra Province). This way, Saint-Jean-Pied-de-Port is considered to be the starting point of the French Way, but also is Somport Canfrac (although a less known route). For more information about the French Way, please do not hesitate to click here.